Situated in Orotina, this hotel is 13.2 mi (21.3 km) from Carara National Park and 20.9 mi (33.6 km) from San Ramon Museum. 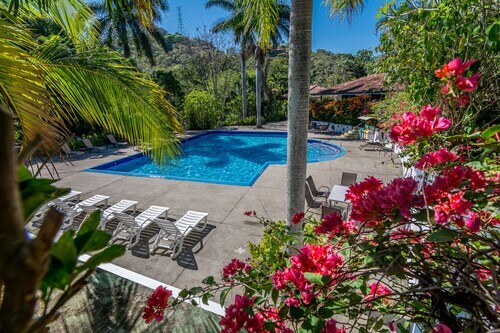 This Barranca hotel is on the beach, 0.2 mi (0.4 km) from Puntarenas Beach, and within 9 mi (15 km) of Caldera Port and Puntarenas Pier. Victoria Park and Puntarenas Cathedral are also within 9 mi (15 km). 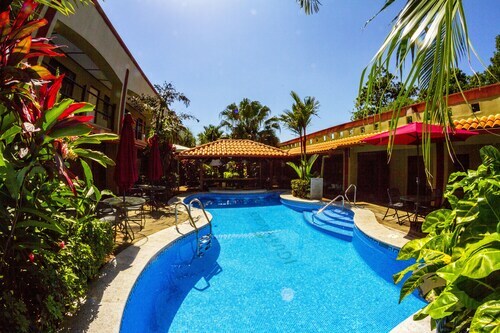 Located in the heart of Alajuela, this hotel is within 3 mi (5 km) of City Mall, Central Park, and Central Market Alajuela. Alajuela Cathedral and Parque Viva are also within 3 mi (5 km). Nestled on the beach, this Jaco resort is within 1 mi (2 km) of Marina Los Sueños and Herradura Beach. Auto Mercado Herradura and Canopy Vista Los Suenos Adventure Park are also within 3 mi (5 km). How Much is a Hotel Room in Orotina? Hotels in Orotina start at $66 per night. Prices and availability subject to change. Additional terms may apply. Orotina has only one accommodation option. So if you want to stay a short drive from the downtown area in Orotina, book early. There are a few Travelocity-listed options within an easy walk from the downtown area of Orotina. The Hotel Iguana Verde is an ideal choice as it's only 2 miles (3 kilometers) away. It's worth having a look at the HRG Condos at Los Sueños and also the Los Suenos Resort Villas and Condos. The HRG Condos at Los Sueños is situated just 20 miles (33 kilometers) away from the middle of Orotina. 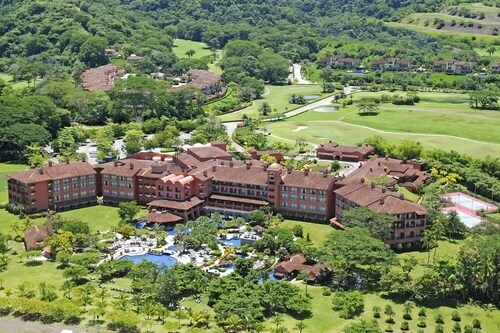 The Los Suenos Resort Villas and Condos, is just 20 miles (34 kilometers) away. 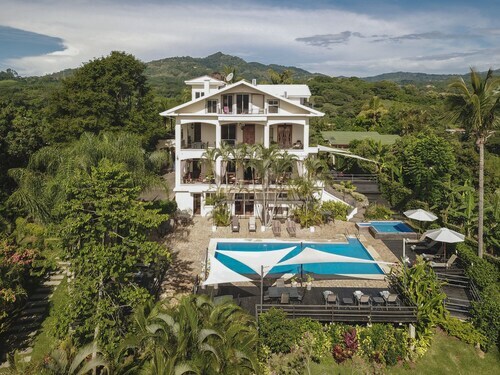 The Zephyr Palace and also the Stay in Costa Rica are two more Travelocity-listed accommodation options worth looking into around Orotina. If you have the time, why not check out the other sights located around Central Valley while you are in this area? Spend time at Central Valley's ruins. Anyone with a passion for nature could also take the time to enjoy its rural landscapes. In this region of Costa Rica travelers may partake in hiking and horse riding. 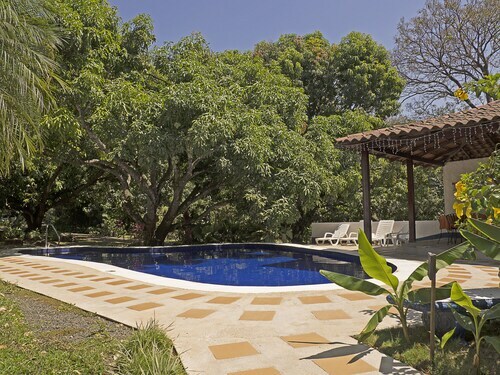 20 miles (34 kilometers) away from Orotina, you will find Alajuela, where you can explore Central Park and Zoo Ave. 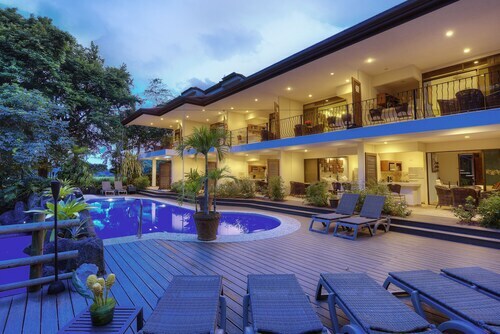 If you'd like to stay in Alajuela, check out the rooms at the Xandari Resort And Spa and Pura Vida Retreat & Spa. 25 miles (44 kilometers) east of Orotina, is Heredia, home to the Real InterContinental Costa Rica at Multiplaza Mall and Costa Rica Marriott Hotel San Jose. The Walk of Flowers Mall and Universidad Nacional are frequented attractions to get to know in Heredia. Why not spend an afternoon cheering along in the company of fellow supporters at a community sporting fixture. You'll find Saprissa Stadium 30 miles (49 kilometers) to the east of Orotina. Sleep in the thick the sporting action at the Hotel Grano de Oro or the Crowne Plaza San Jose Corobici. Located 20 miles (36 kilometers) outside central Orotina is Juan Santamaria International Airport. Base yourself in the area at Hampton Inn and Suites San Jose Airport or Holiday Inn Express San Jose Costa Rica Airport. This resort is like a piece of paradise! The pool is gorgeous, and the grounds are spotless. From the moment you arrive, the staff is welcoming and professional. The onsite restaurants are excellent, and everyone there was more than patient and willing to help in any way. Beautiful setting and grounds. Welcoming staff. Good food! Amazing staff. Amazing grounds. Convenient location. Would definitely stay there again. Like a walled garden in the city. The Hotel Aeropuerto is family-run, modest but a lovely quiet refuge for harried travelers (like we were) that are shuttling to and from the SJO airport at the beginning and end of Costa Rican travel. I recommend it. This is a beautiful hotel and resort with many rooms and amenities. It is right on the beach plus has several lovely pools, lots of chairs and places to walk and relax. The pier is beautiful and the beach is clean and lovely. The restaurants serve delicious food and drinks and the staff is very friendly and helpful! Mariana checked us in and she was absolutely delightful. Very knowledgeable and accommodating. Ordered food for us at a local restaurant and made my wife who was sick some hot tea before bed.